We start each morning with cappuccinos and a wonderful Albanian breakfast, but Emily started her day off today with Diet Dr. Pepper that she brought from Atlanta and a yummy pastry! 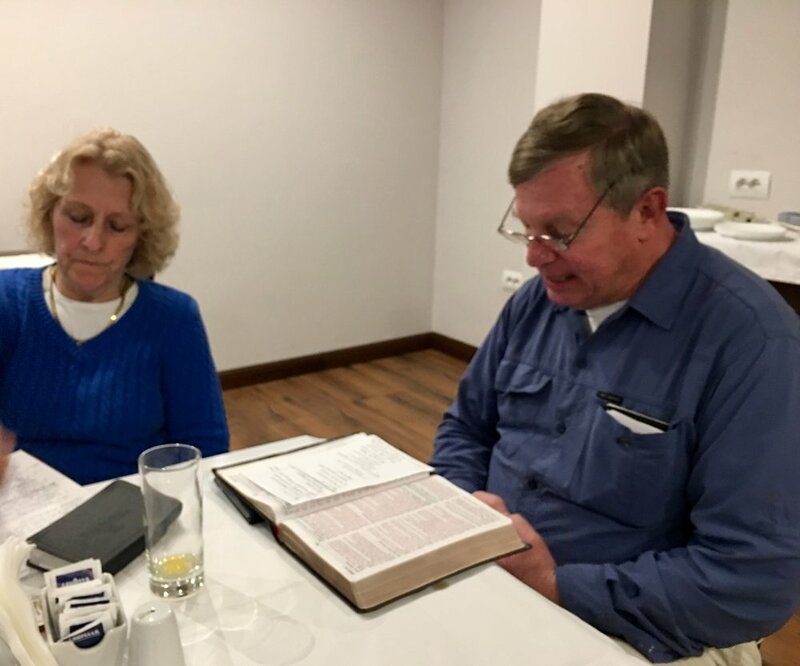 Breakfast is also the time for our team’s devotions which were led by Pam and Jim on Monday. Then we traveled across town to meet believer students and staff. Today we prepared the invitations to give to the students and did a short Bible study on Galatians Chapter 1. Then we began our outreach to students at the Natural Sciences University. We asked students to take a short test that would help them identify their world view, and we invited them to come to this week’s activities. The first activity of the week was a seminar that Jana presented on Monday afternoon. about Science and God. It was held in a coffee shop next door to the campus that had been rented for the occasion. Meanwhile, Michael joined some of the students who were playing in a futbol (soccer) match that is also a part of the March Outreach to university students. Monday evening was a wonderful time to meet with individual students and old friends. So even though it was a rainy day in Tirana, it was a day filled with many blessings. Newer PostALBANIA: Full Days, Meeting Lots of University Students, and Great Events!